Attack on Titan's latest arc in the manga has been building toward a endgame that fans had no idea would be coming when the series first start which definitely includes the many changes to Eren since the series' time jump where Eren's been distancing himself from Mikasa for a long time with the Chapter 112 of the series completely shook their relationship apart changed as Eren tells Mikasa he's always hated her. 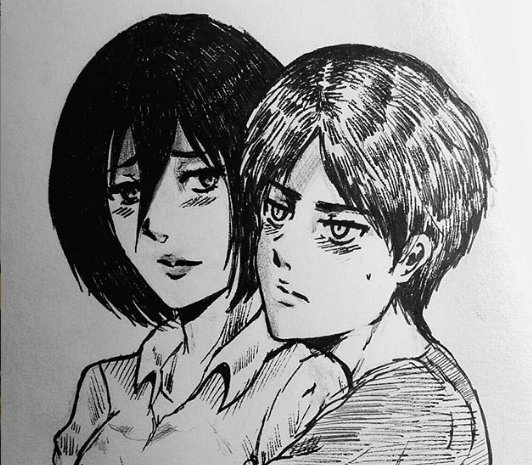 Mikasa and Eren have been friends since they were childhood and they had been especially close after Eren and Mikasa survived a deadly and bad violence experience together Eren's been weird since the time jump and his time spent hidden away in Marley that fully gone rough after his attack on Marley, even forming a new revolutionary faction. Eren thinks he is completely different before and unveiled a new outlook on Mikasa. The Ackermanns were apparently created to be a vessel that can activate the Power of the Titans but recaptured their human form. Eren says that Mikasa activated her own inner strength, she ceased to be Mikasa and became a slave to her genes. Eren says as a result, he has hated Mikasa since childhood because she is not free for the eyes. As a result, Armin and Eren get into a fistfight and this blows up their entire friendship completely. No one knows what's going through Eren's head at this time, and clearly it's not going to be a completely peaceful resolution when it's all said and done. Hard to walk back something like this.